Thank you for attending my interview with Tom Poland! Welcome Marketing The Invisible fans! Thank you for attending my interview with Tom Poland!! 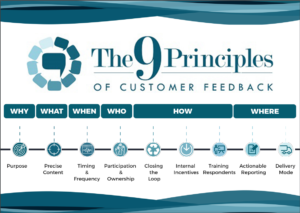 Here is a special info-graphic I created as a gift to attendees to explain the key points of The 9 Principles of Customer Feedback and how to use them in your business. Yes, send me The 9 Principles infographic so I can start gathering meaningful and accurate feedback from my clients, students and members to keep them forever! Success! Now check your email to confirm your submission. [You will receive ONE email in about 7 days, asking if you wish to learn more about these Principles.